On April 9, the City of Dana Point hosted the first of two by-district voting public workshops at the Dana Point Community Center. Doug Johnson of National Demographics Corporation joined City staff, Dana Point City Council and John Ramirez or Rutan & Tucker, LLP, the law firm of City Attorney Patrick Munoz, in presenting the original draft districting maps and five additional draft maps. 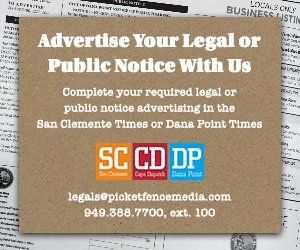 After an introduction from City Manager Mark Denny, Ramirez and Johnson spoke to the crowd of nearly 75 Dana Point residents concerning their respective expertise. 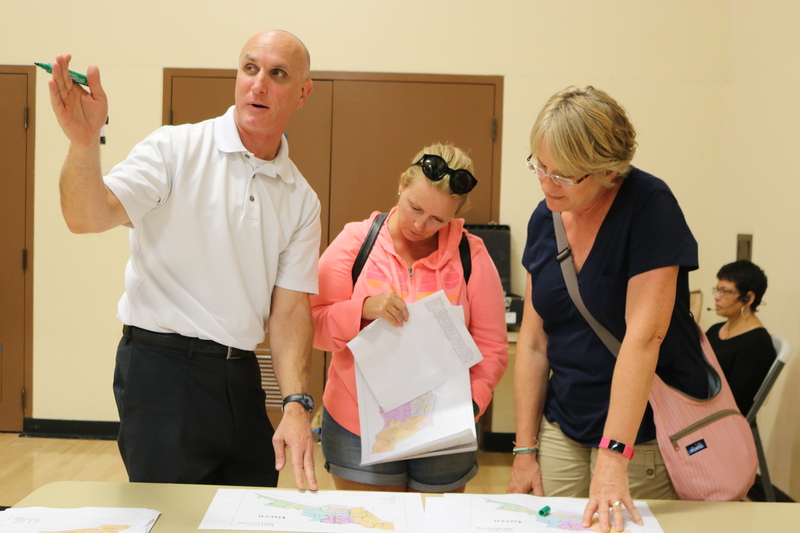 From there, City staff and City Council members took stations along the draft maps, operating in a cycle, speaking to community members in an attempt to better understand the public’s feeling regarding the draft maps. Also, Ramirez and Johnson would man “legal” and “demographic” tables where citizens could sit down and ask questions concerning the by-district procedure. One prevalent topic of discussion for Ramirez at his table surrounded the options available in draft maps for four districts with a mayor elected at-large versus a complete five-district draft map. Ramirez expressed, supported by a statement in a hand-out they supplied, that the only option that completely insulates the city from liability under the California Voter Rights Act is adopting a “by-district,” election system, where all Council members are required to reside in a single-member district and are elected only by the residents of that district, according to election code 14026 and 14027(A). Across California, more than 147 cities have moved forward with district voting by electing pre-emptively on their own accord or settled their CVRA lawsuits by moving to district voting with an at-large mayor. To date, none of those cities have been have sued for continued violation of the CVRA. Jenene Rudder, Dana Point resident, thought the meeting was a good start, but supported moving forward with the four districts with an at-large mayor. “I want to have an impact,” Rudder said. The second public hearing of draft by-district voting maps will be at the City Council meeting on Tuesday, April 17 at City Hall, located at 33282 Golden Lantern. A second public workshop will occur on Tuesday, April 25 at RH Dana Elementary at 6:30 p.m.